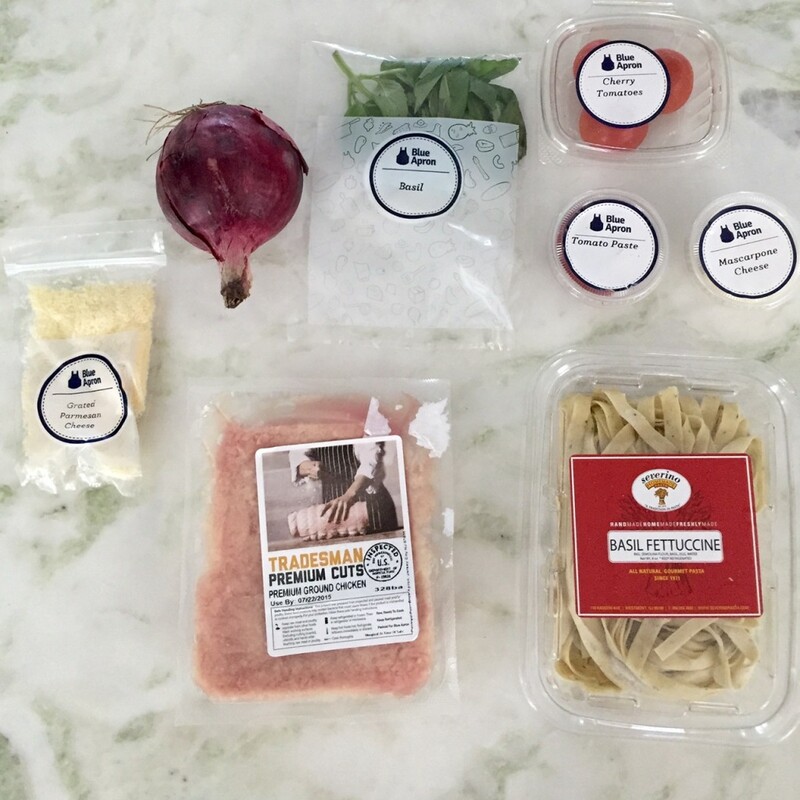 This post is about a wonderful free trial to Blue Apron my beautiful friend Thi Lihn sent my way. Being pregnant has put a damper on food-related things for me. Between the nausea, the heightened sense of smell, and the exhaustion, Mr. Heatherland has had to step up to the plate and started to flex his culinary muscles (otherwise we would both starve). 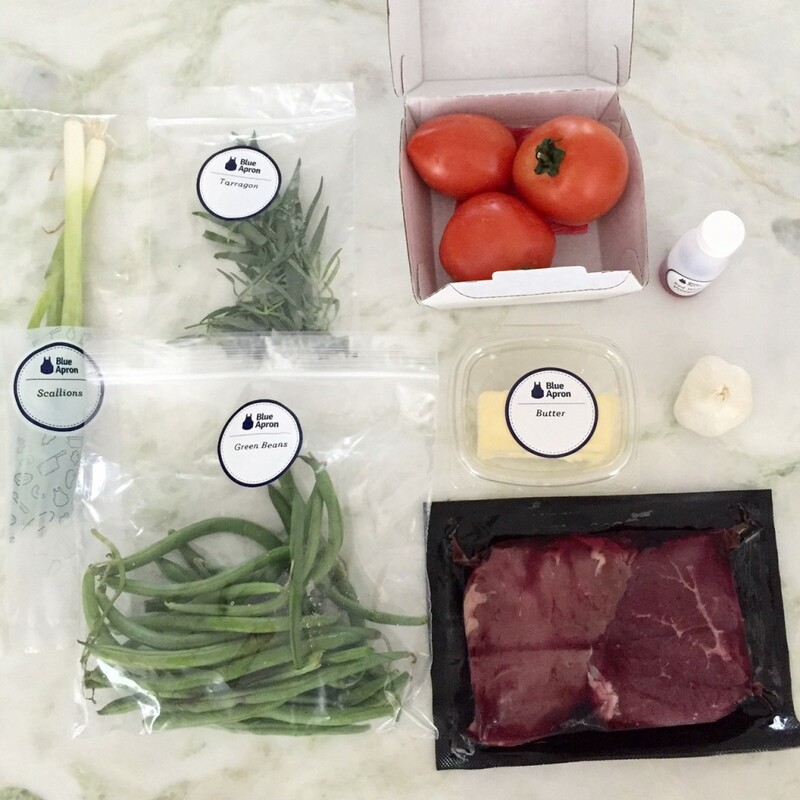 Blue Apron is a meal subscription service company that delivers fresh ingredients and recipes to us weekly, saving us time and precious energy. Thi Linh is a new mom, a talented artist, and a filmmaker. Which means she has been adjusting to a whole new life with very limited time for things like making dinner. 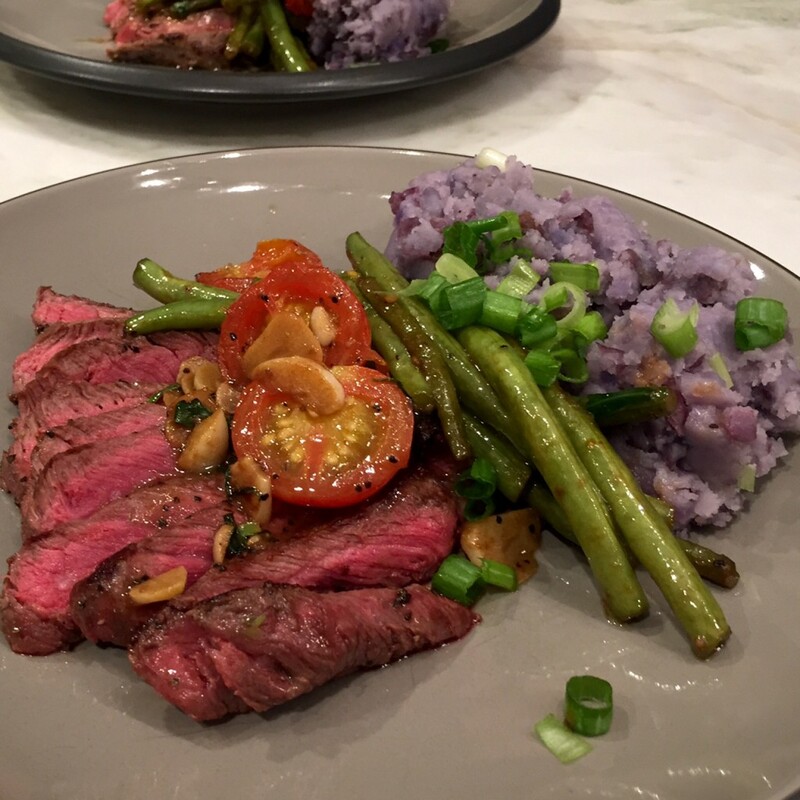 She’s been using Blue Apron with great results, and I took her endorsement to heart because she hates to cook, and if Blue Apron manages to get her in the kitchen then I thought it must be worth a shot. Even though I love cooking, I hate grocery shopping, and I wanted to find a streamlined way to have Mr. Heatherland try new recipes with success. I did a quick comparison of the most competitive meal subscription service companies. 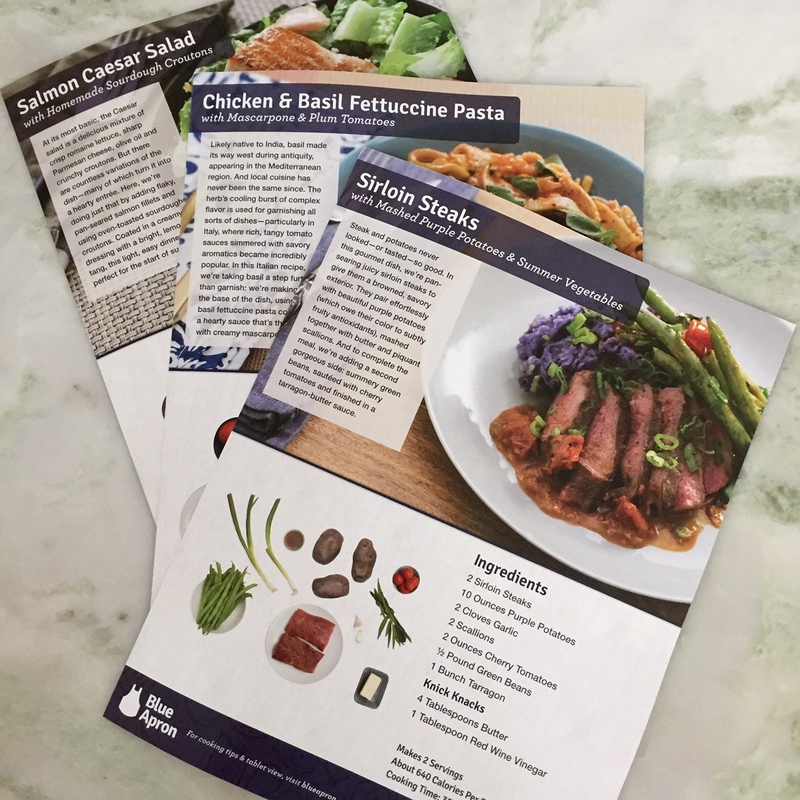 The heavy hitters are Blue Apron ($10 per meal, per person), Hello Fresh ($11.50 per meal, per person), and Plated ($12 per meal, per person). 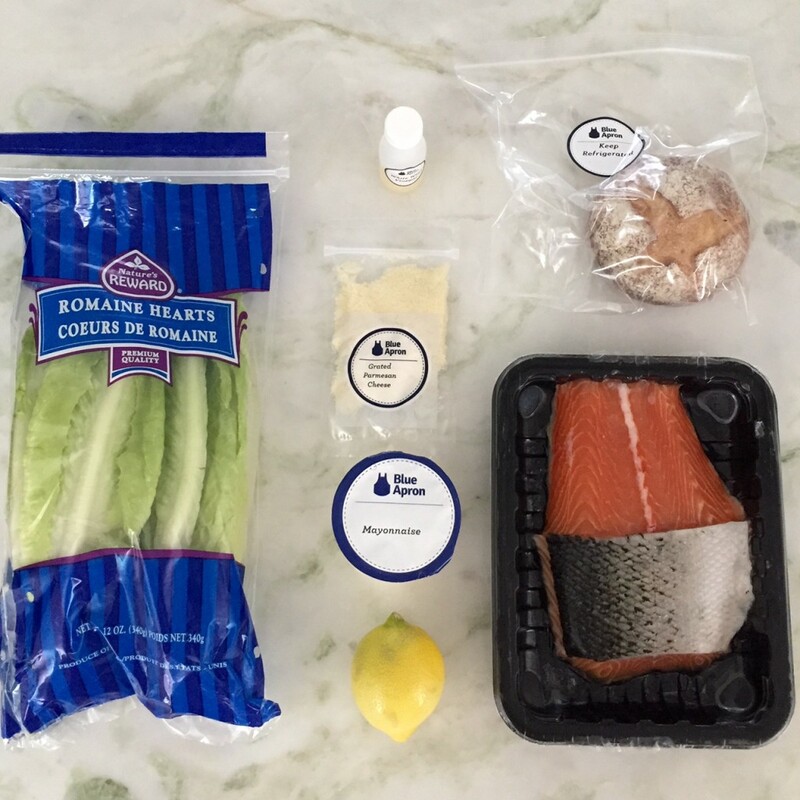 All three companies are the same in concept, some have more flexibility than others, but at $60 a week for three dinners, Blue Apron is the most economical option. Signing up was a simple as it gets as there are only two options: 3 meals a week for 2 people, or 3 meals a week for 4 people. I placed my order and the lead time was less than a week. Then the first box arrived. It’s insulated and contains ice packs to help keep it cold if you can’t be there to accept the shipment. Inside are all the ingredients you need to create the three meals (everything except salt, pepper, and olive oil), and everything is wrapped and labeled. 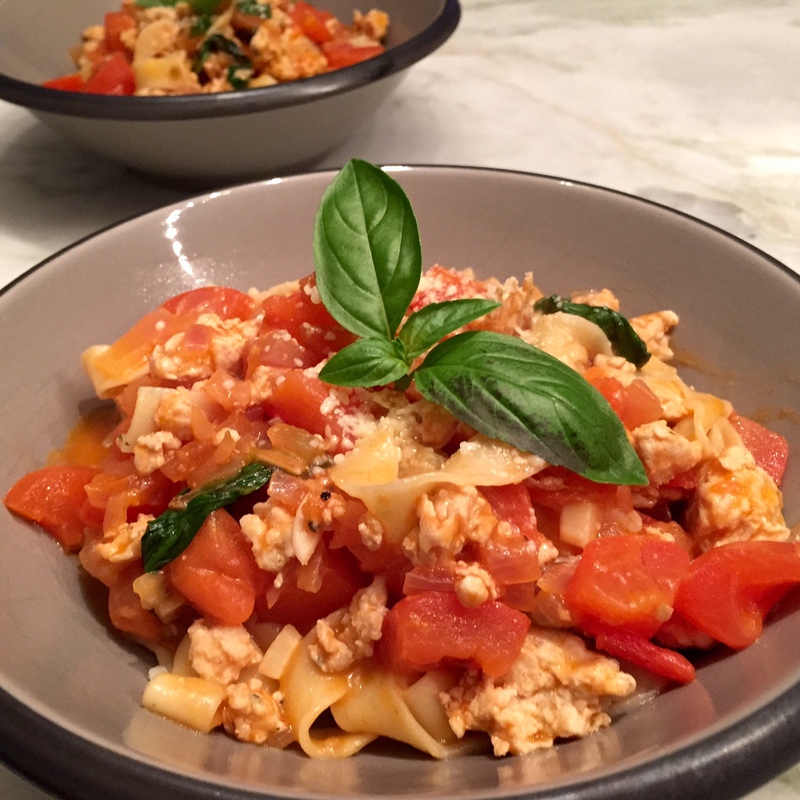 The recipe cards are each 6 steps and take anywhere between 25 and 45 minutes to prepare; however the timing really depends on your skill level. The bonus is, they have a whole assortment of online tutorials to help you sharpen your kitchen skills. It is such a wonderful thing to come home after a long day and see Mr. Heatherland in the kitchen whipping together dinner. Plus, on the days I don’t work late we can cook these together. Win-win. This is going to be a very good thing in our life. 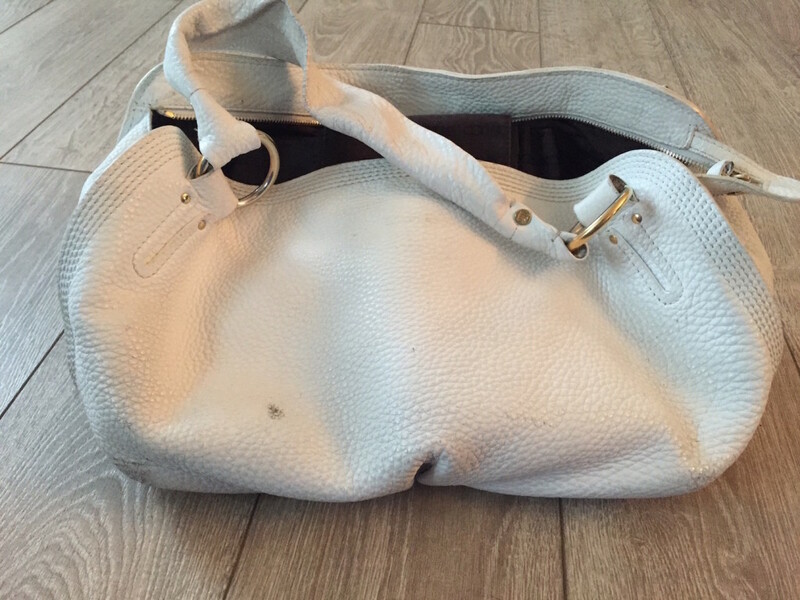 Have you ever looked down at your beloved handbag and realized that it has officially lost it’s luster? 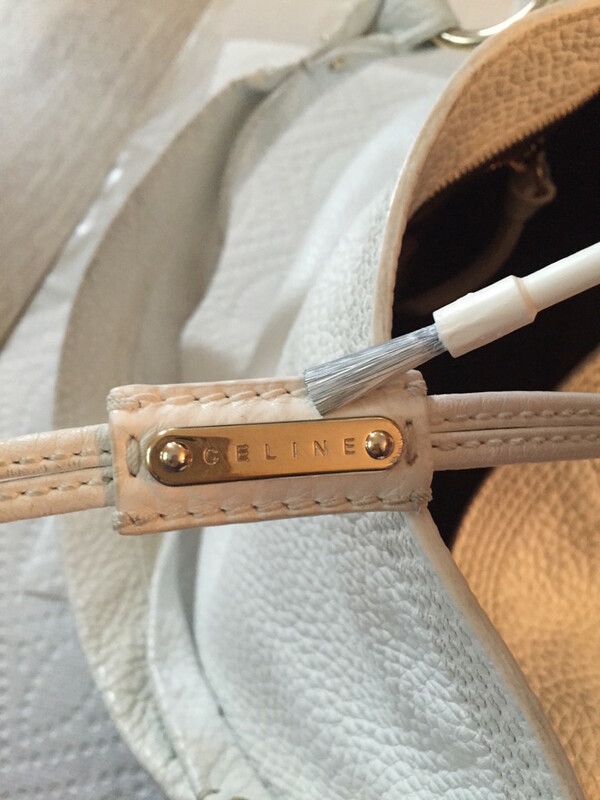 I just had that moment last week with my beautiful white Celine Bittersweet Bag. I finally saw her for what she is, not what she once was… She was a dirty old bag. Instead of putting her out to pasture, I decided to try and restore her with a fresh coat of dye. 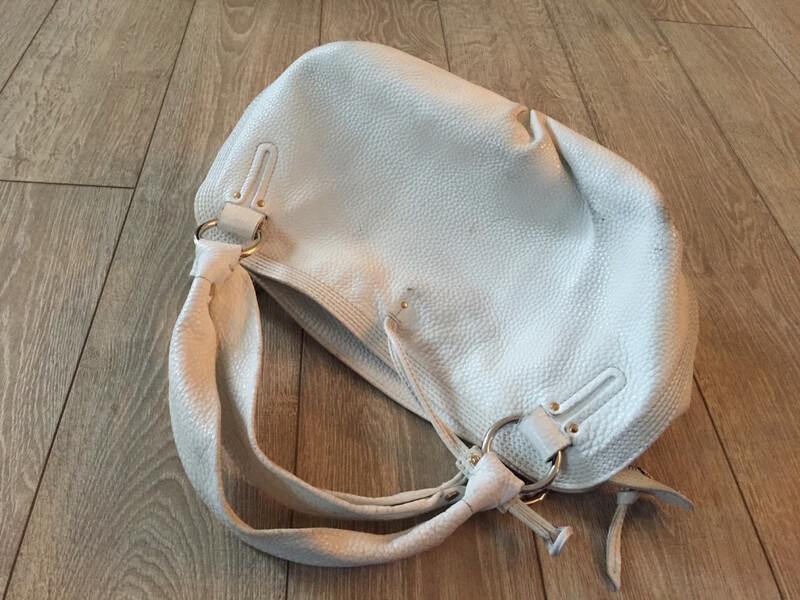 After much research, bought White Leather Dye by TRG. TRG makes the most highly reviewed leather dye on the market. And it’s easy to see why: It is very simple to use, comes in a wide variety of colors, and yields amazing results. 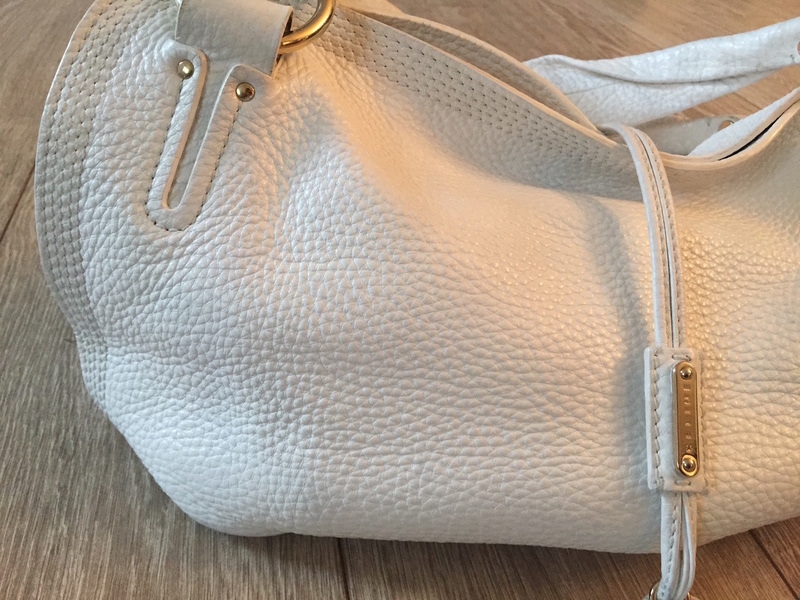 The one thing I was worried about was the “shine” that was in the description, because I did not want my bag to be shiny- and to my relief it’s leaves a nice finish with only the slightest hint of a shine. Grab your dirty old bag and give it a good cleaning. Then use the Preparer in the dye kit. 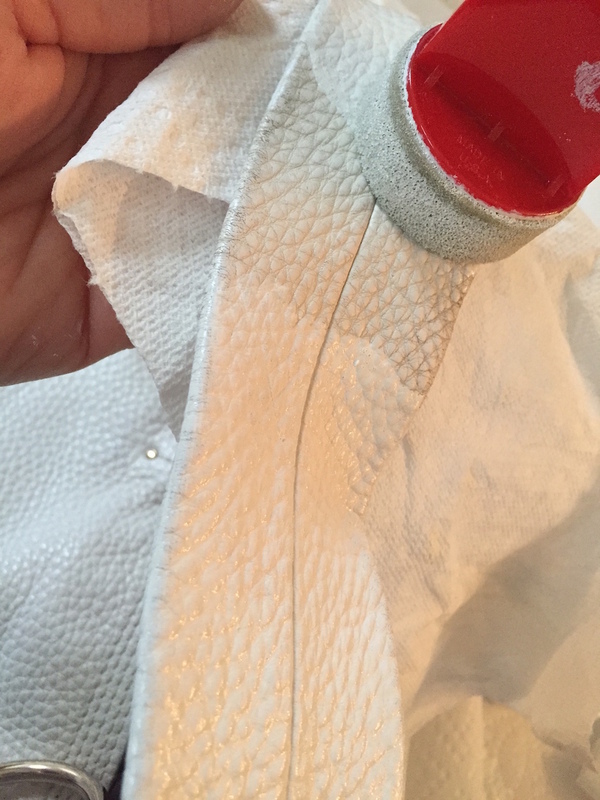 They recommended using it with a green Scotch Bright Pad, which I didn’t have (nor did I want to use on my Celine) so instead I saturated a rough towel with it and worked the liquid all over the surface of the bag and that worked just fine. After it’s been cleaned and prepared, open the dye and start by painting stitching, hard to reach places, and extremely soiled areas first with the brush they have provided. If dye gets on the metal parts, just wait for it to dry and scrape it off. The kit also included a little sponge to apply the dye with but it was very small and annoying to use. So I used a sponge that was in Mr. Heatherland’s shoe polishing supplies. It had a little handle and did the job just fine. 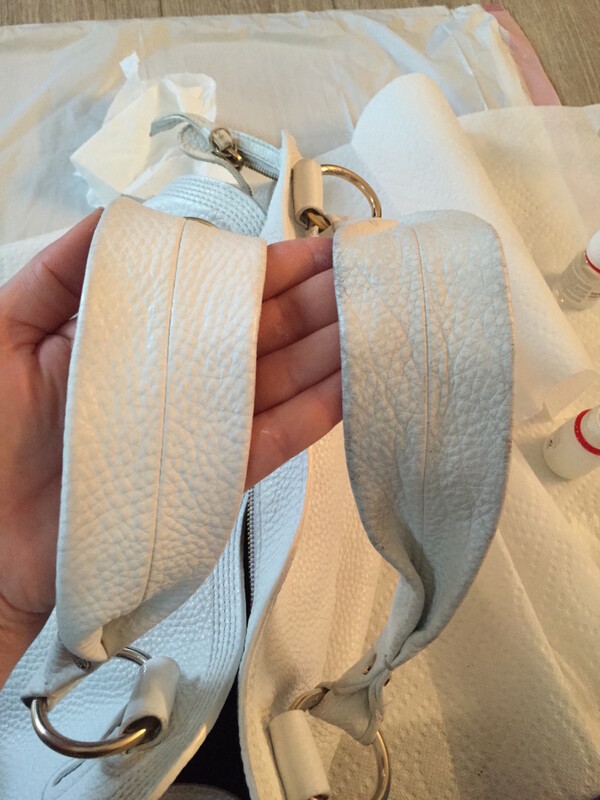 Here are the straps of the bag, before and after. This is the body of the bag, as I was working on it. The dye has amazing coverage even after one coat. One small bottle of dye gave me enough to do one coat on a medium sized bag. And a single coat was enough. 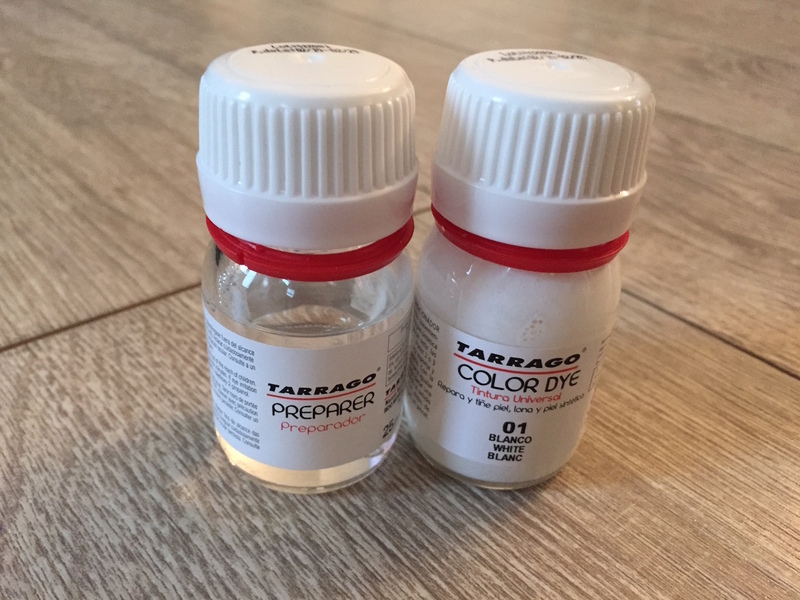 If you are trying to change the color completely (which people do with this product) I would estimate 3 bottles for a medium sized bag. 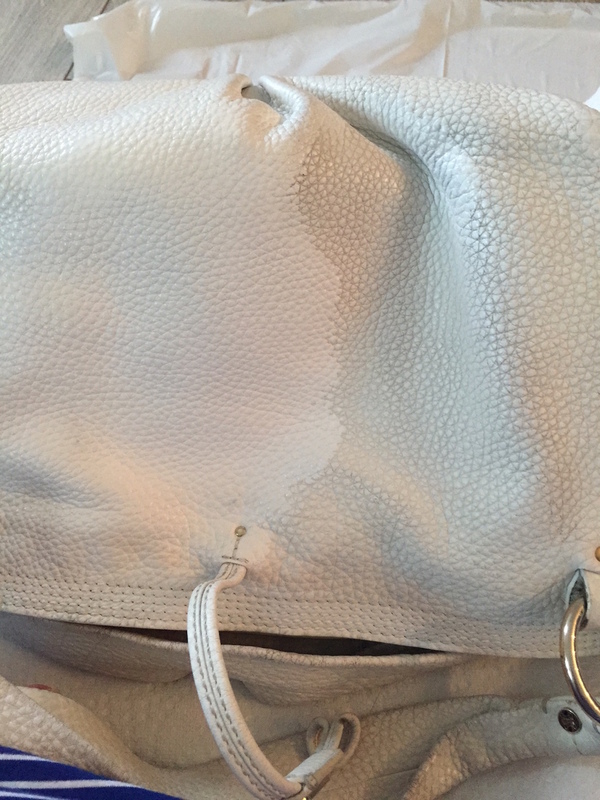 After the dye has dried, I applied a leather conditioner to soften and protect the newly renovated bag. I am very happy with the end result. 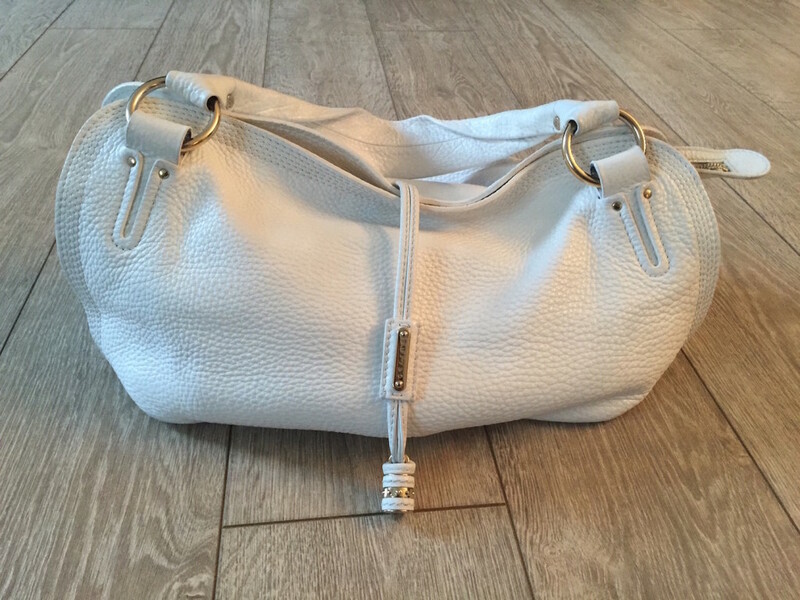 I was toying with the idea of buying a new handbag, but $15 for dye seemed like a much more reasonable investment.